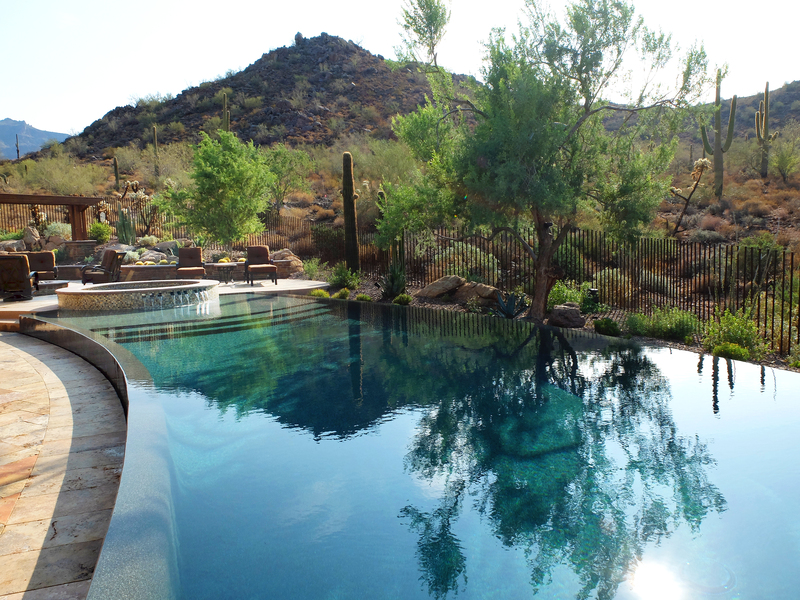 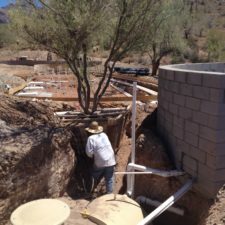 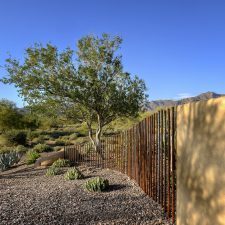 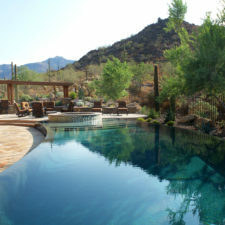 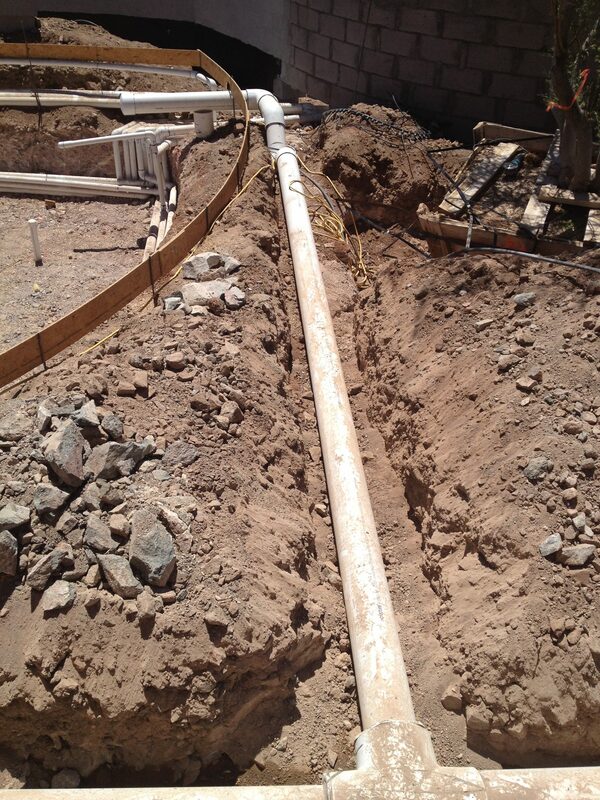 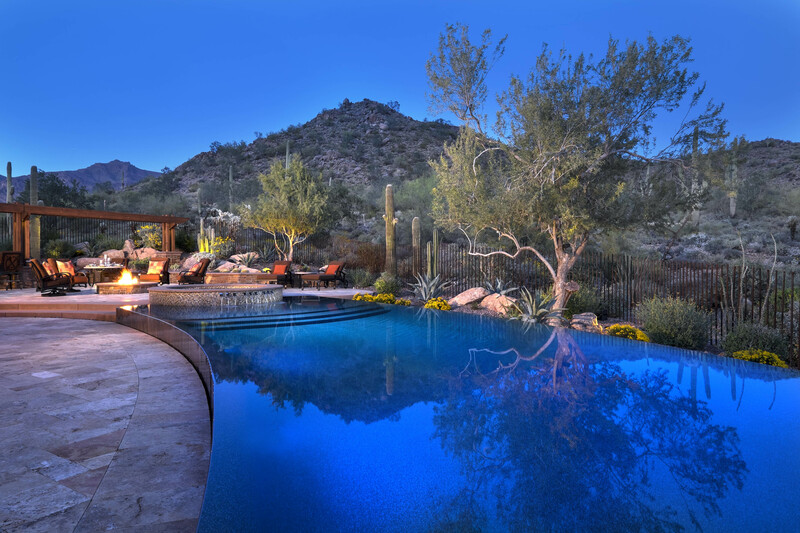 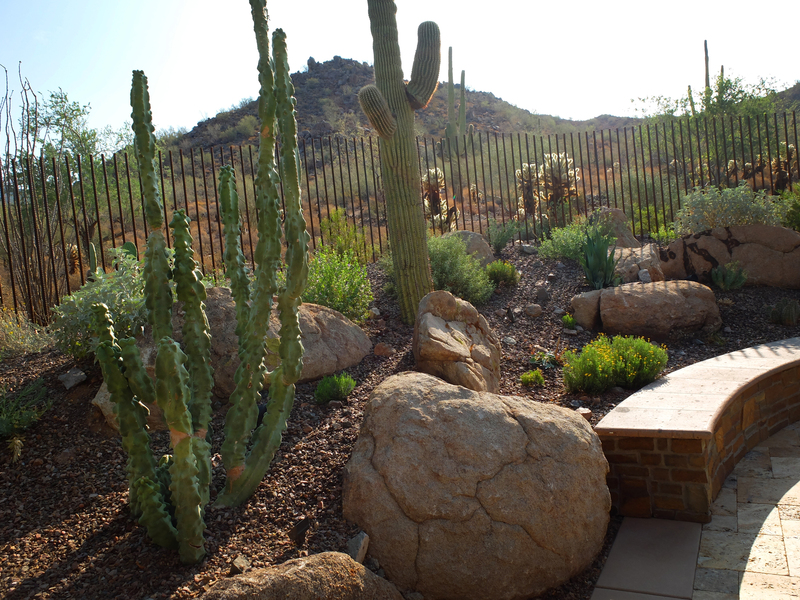 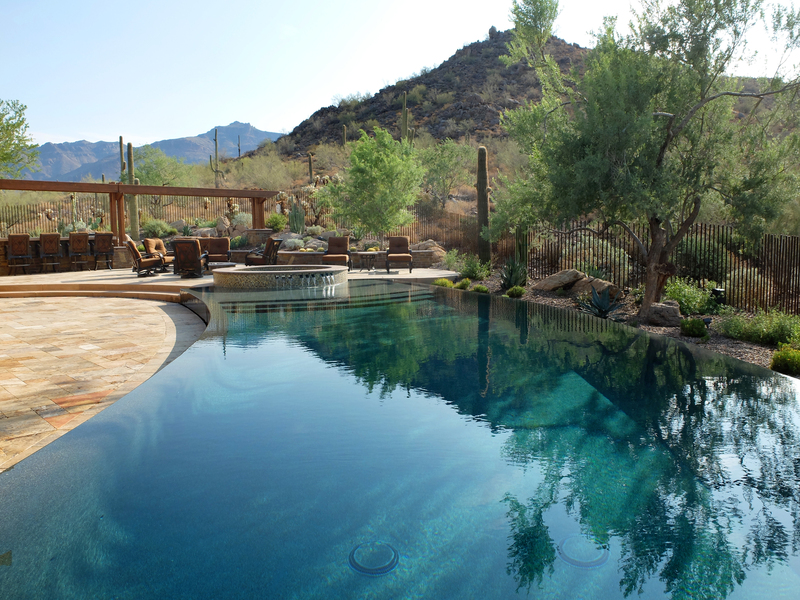 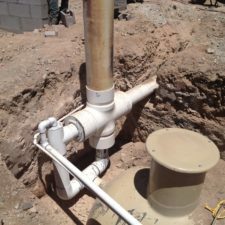 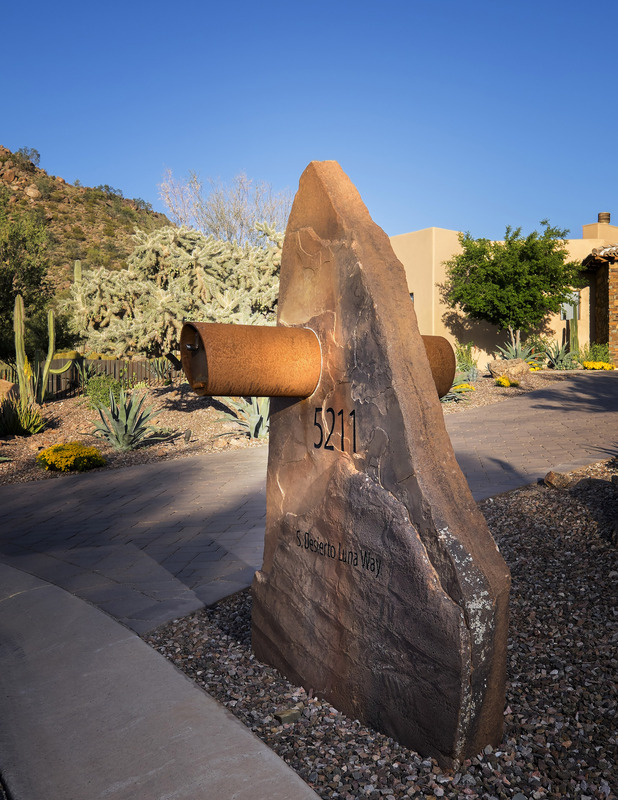 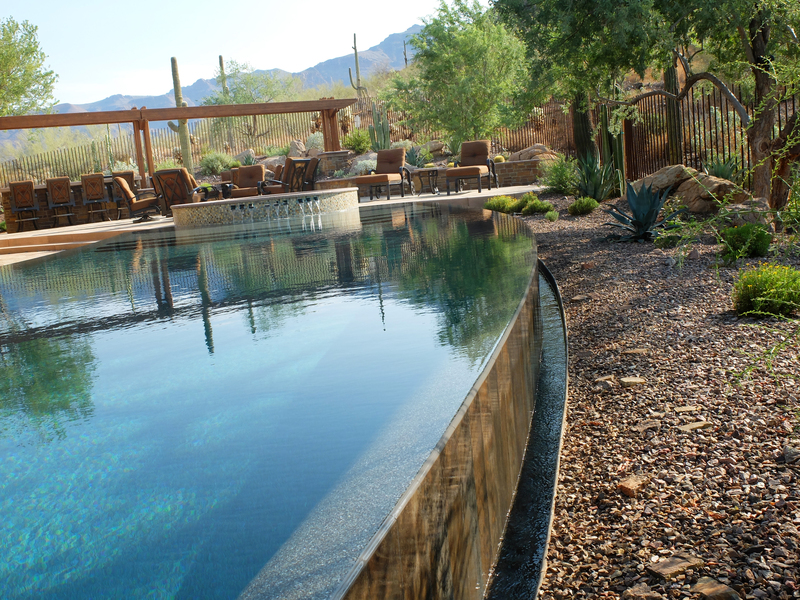 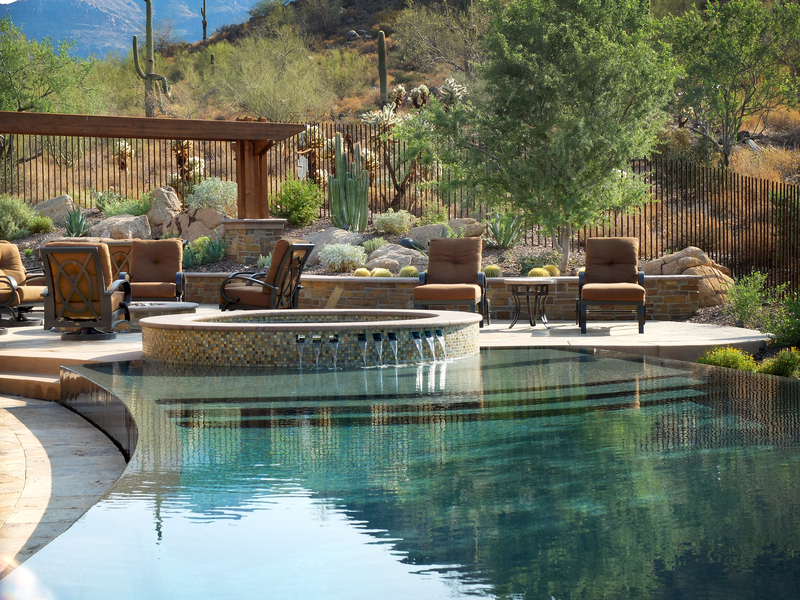 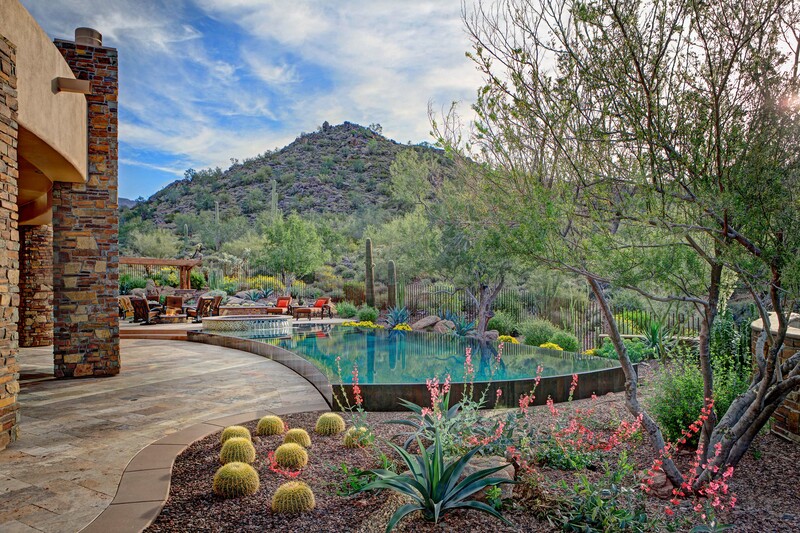 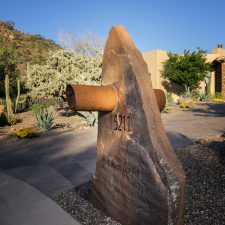 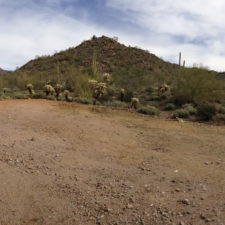 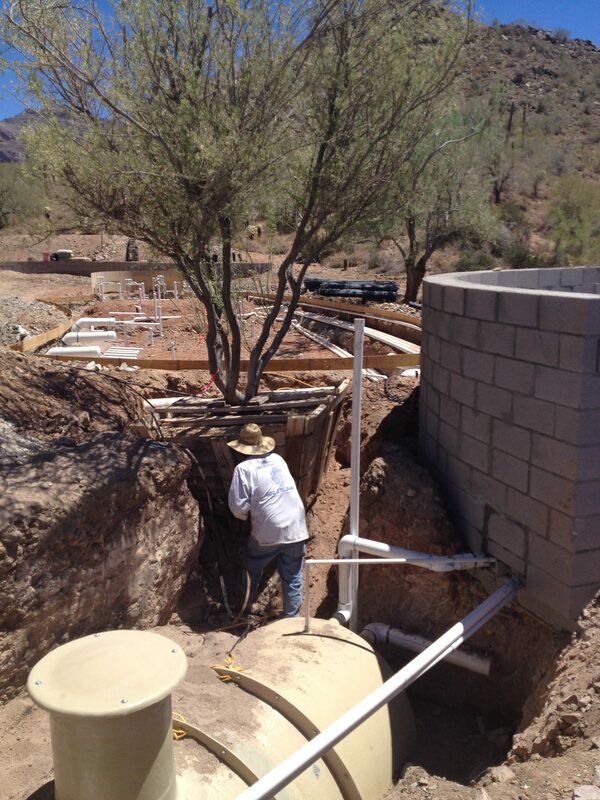 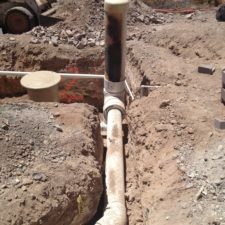 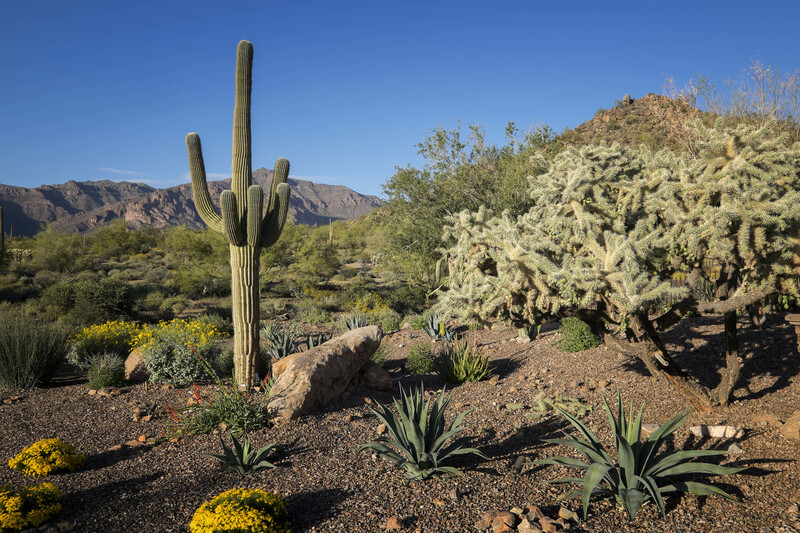 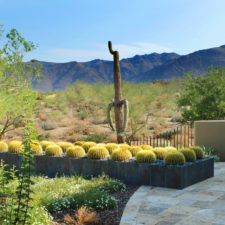 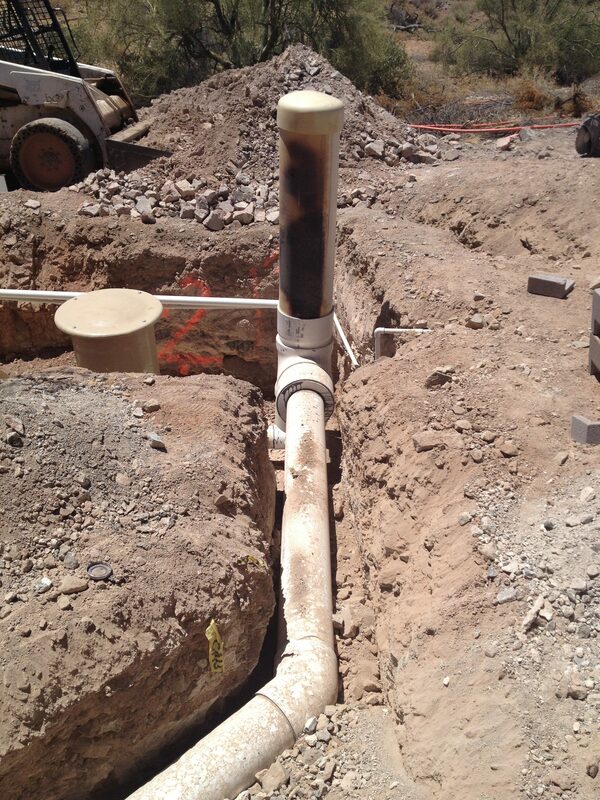 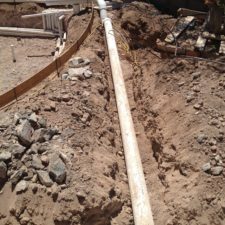 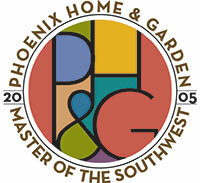 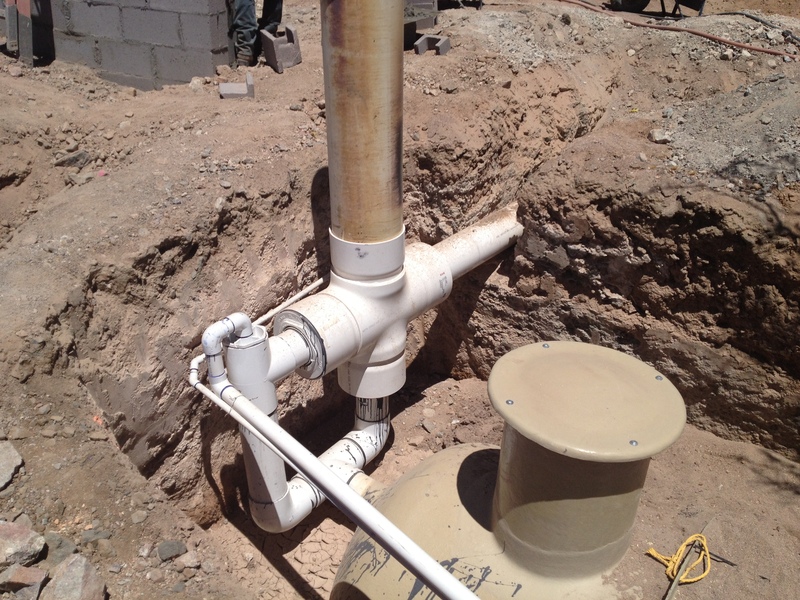 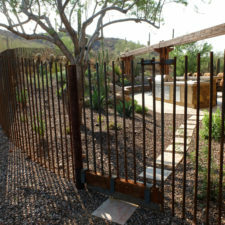 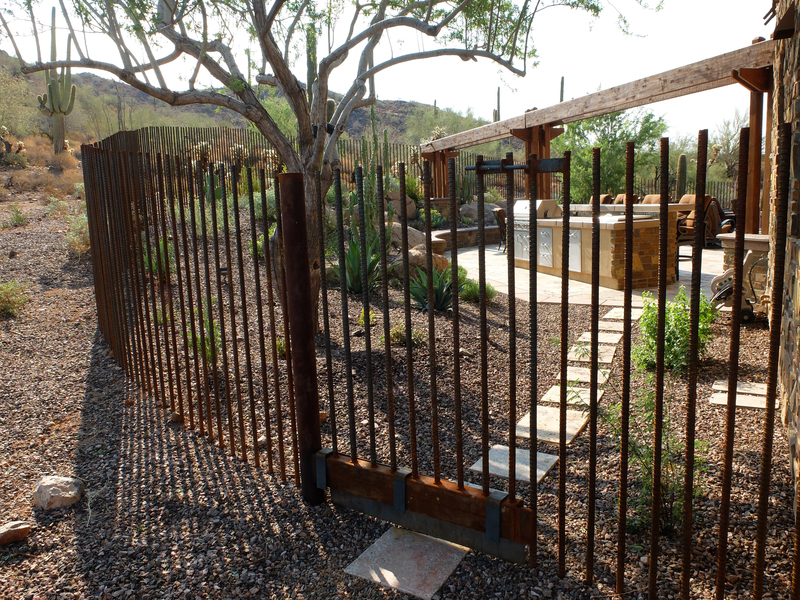 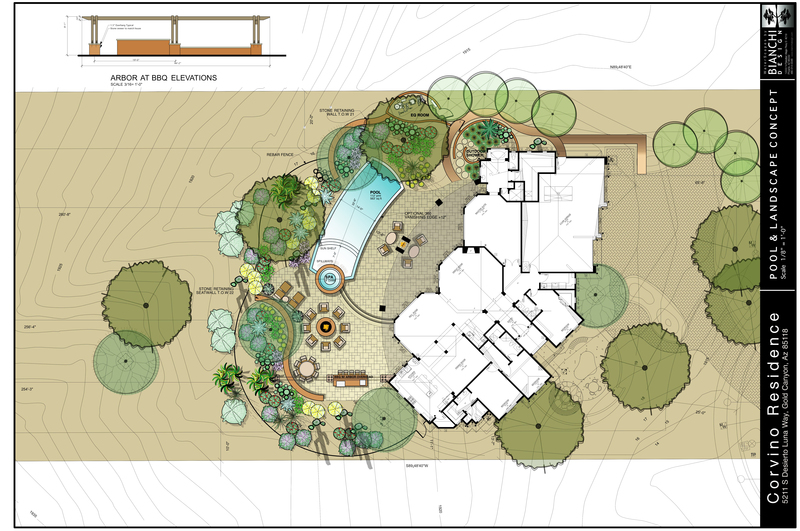 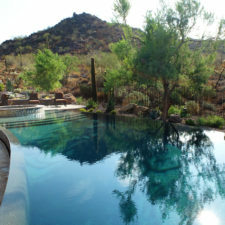 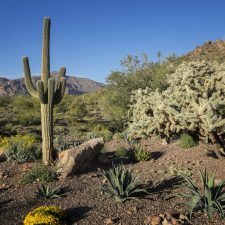 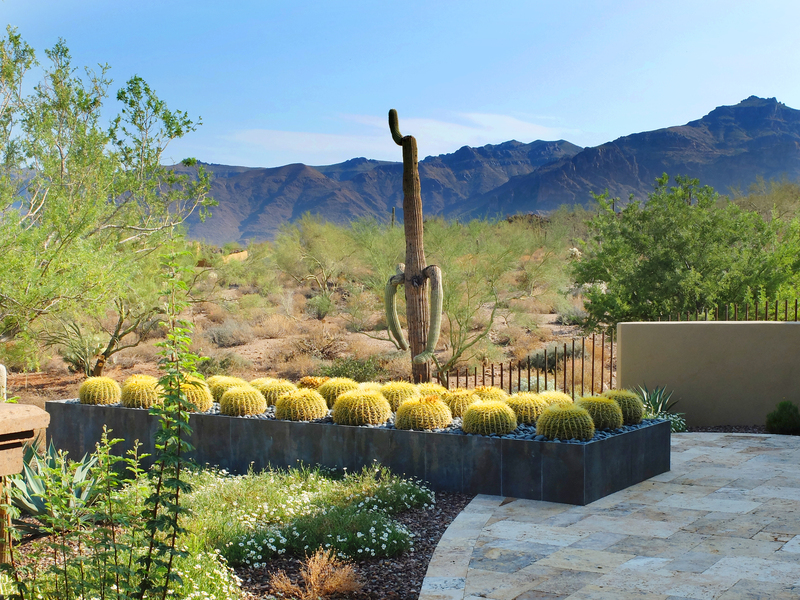 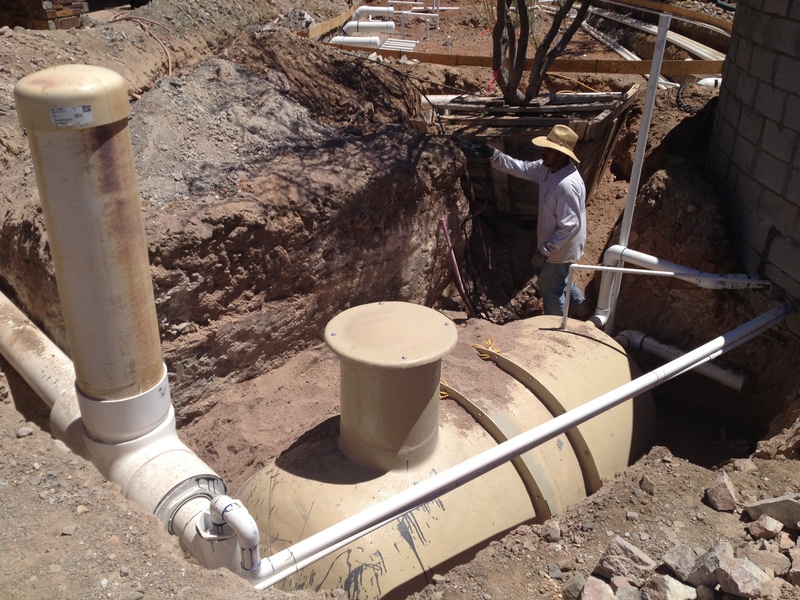 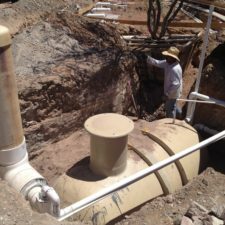 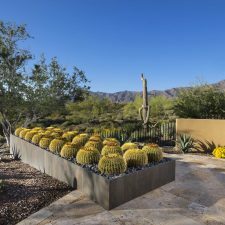 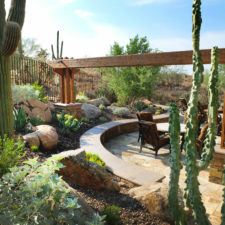 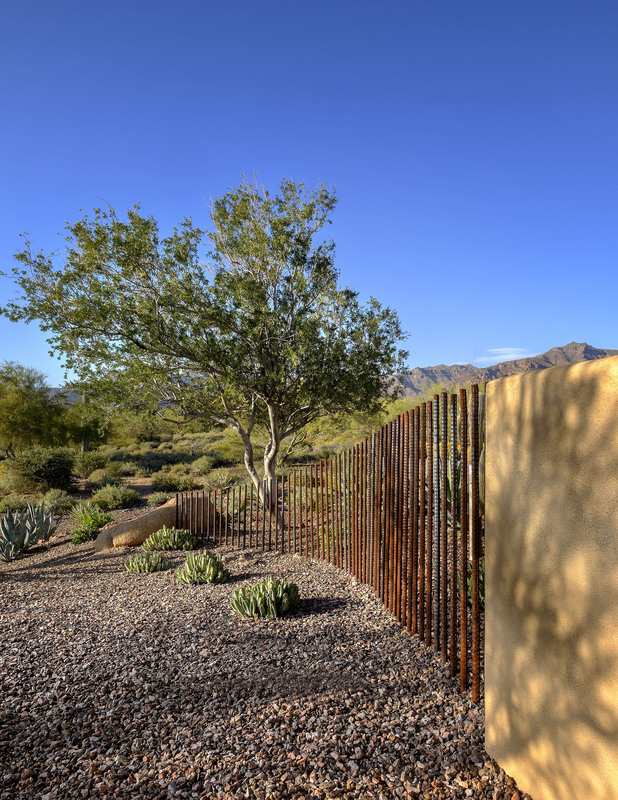 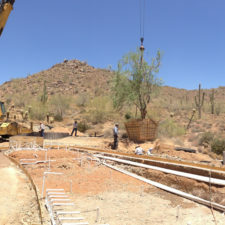 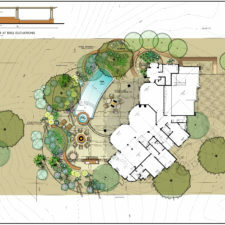 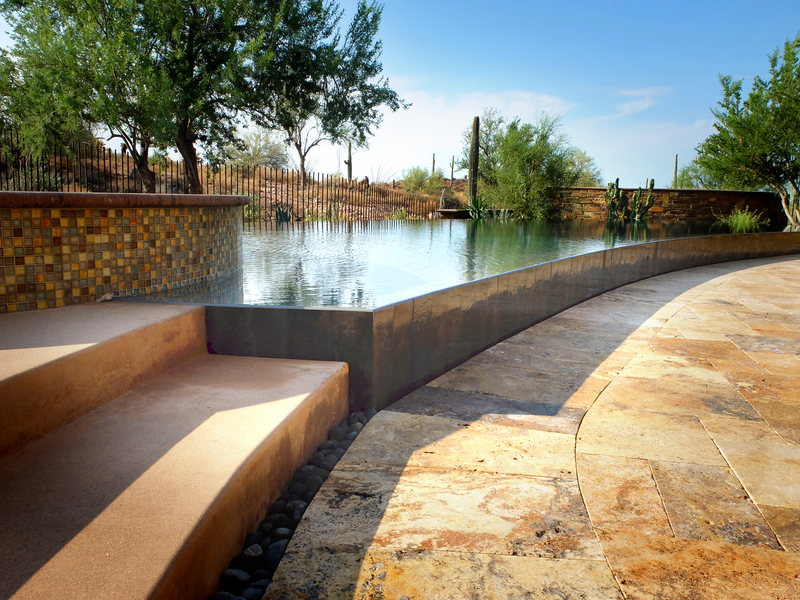 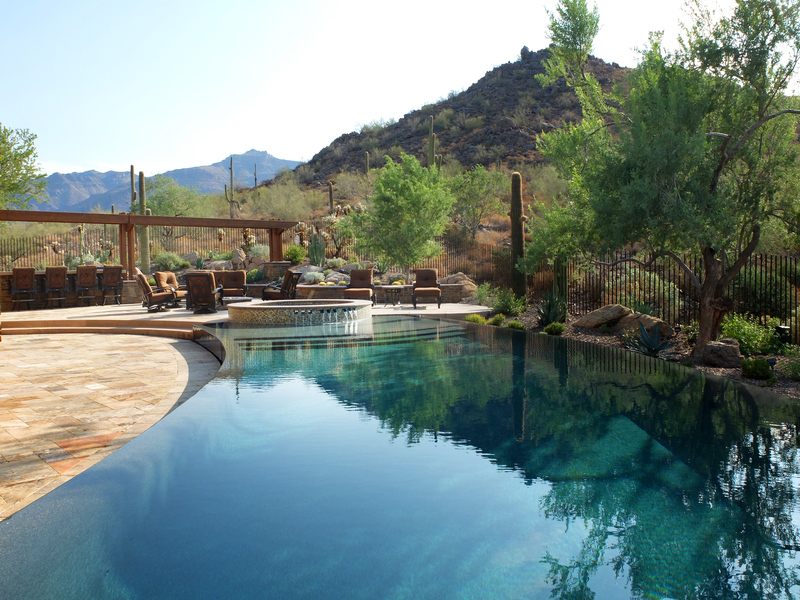 Kirk Bianchi created the design for this residential resort next to a desert preserve. 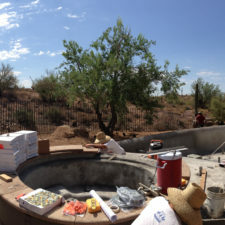 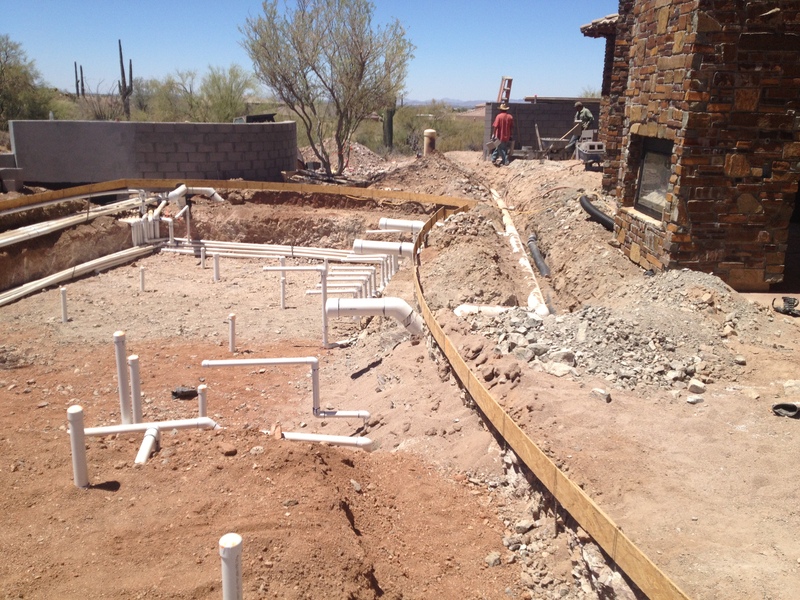 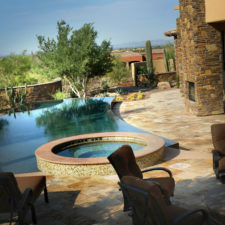 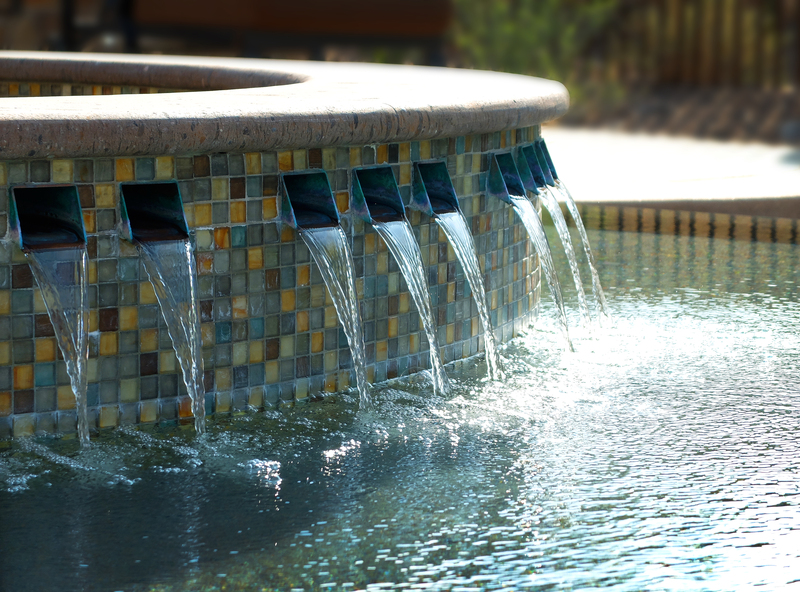 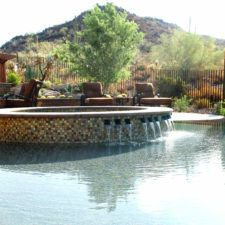 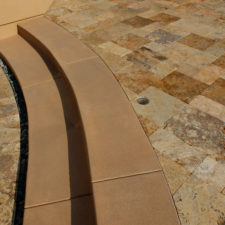 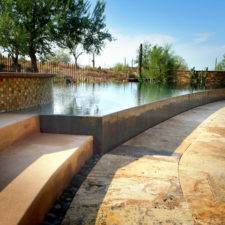 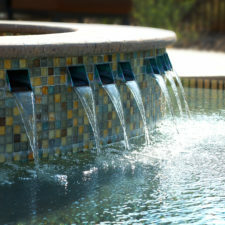 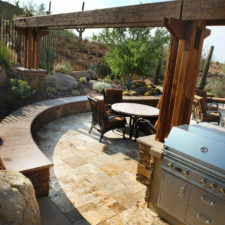 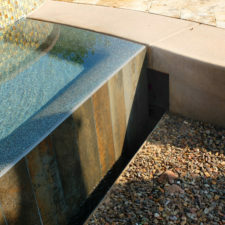 The overhang of the homes patio suggested a pool with a sweeping curve shape. 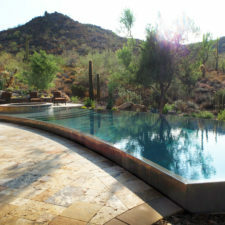 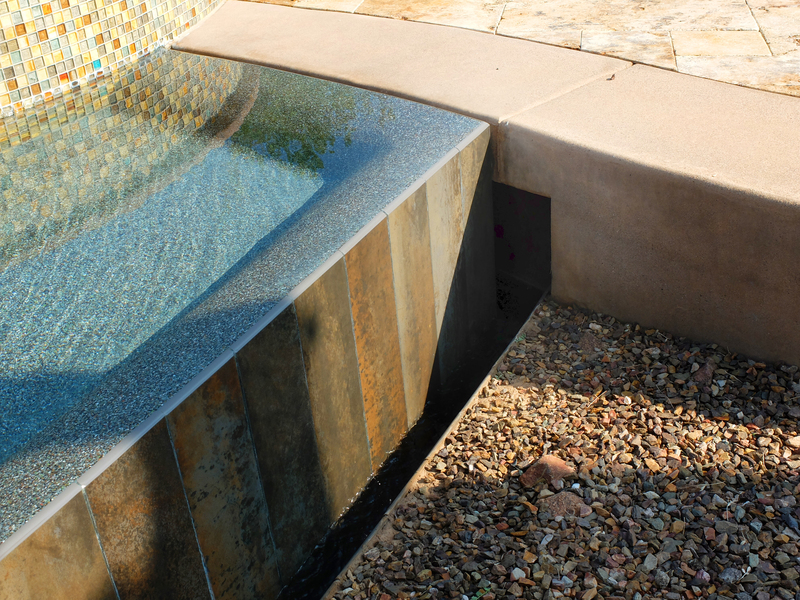 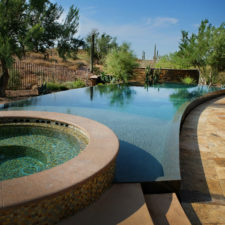 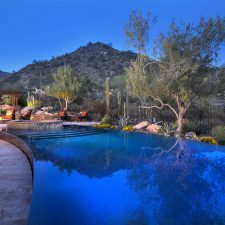 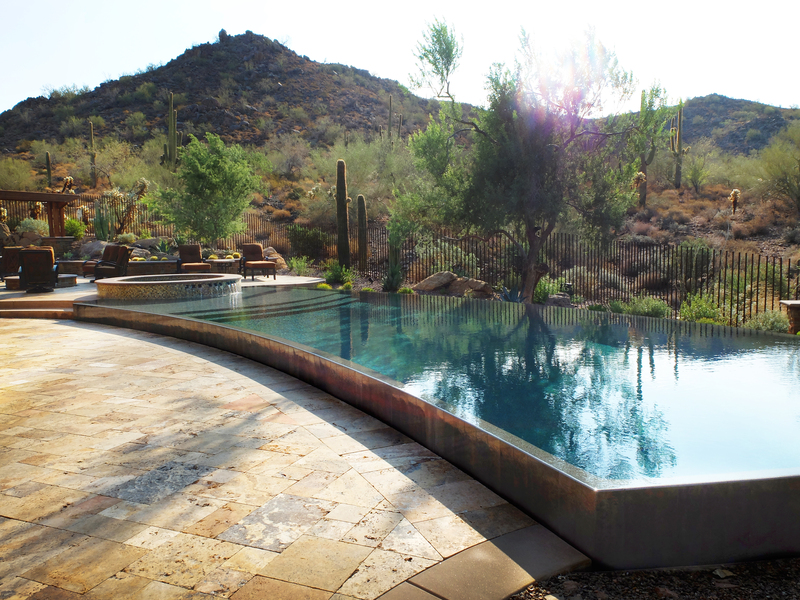 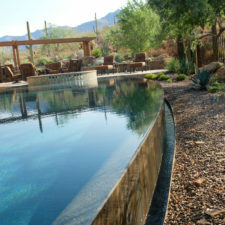 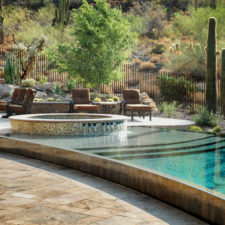 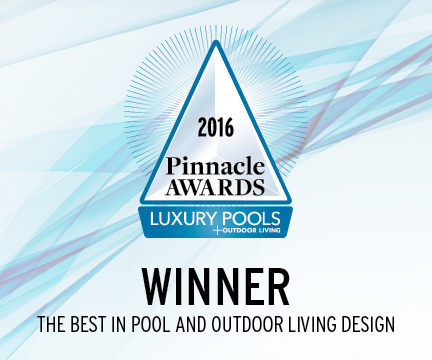 Kirk positioned a raised vanishing edge pool to work with the ascending terrain and to also capture the reflections of the scenery behind. 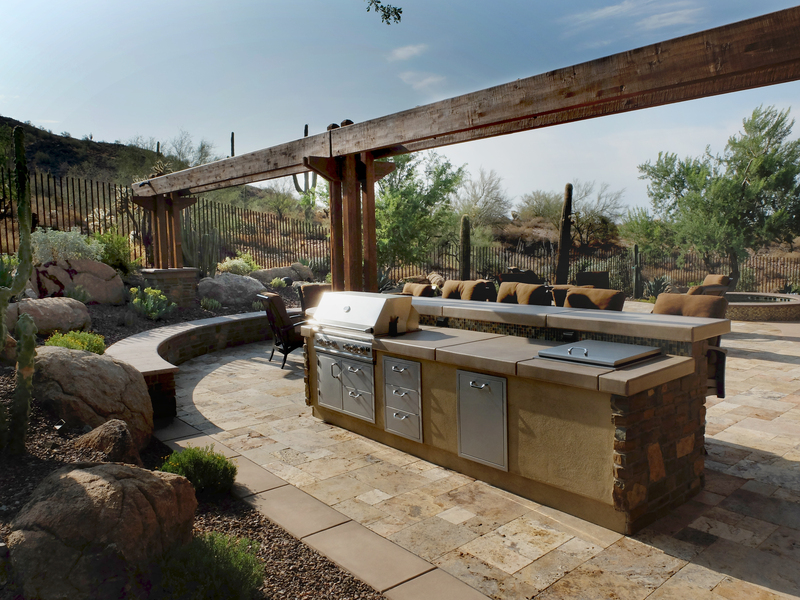 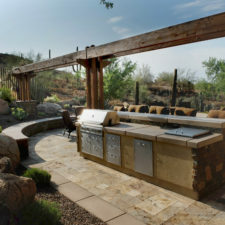 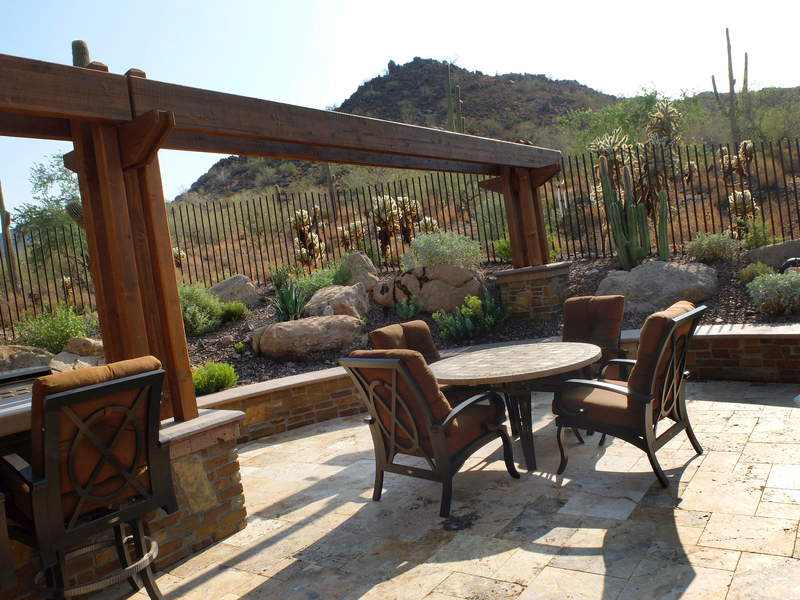 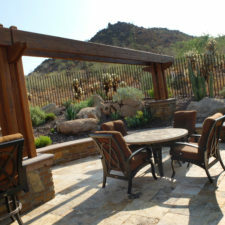 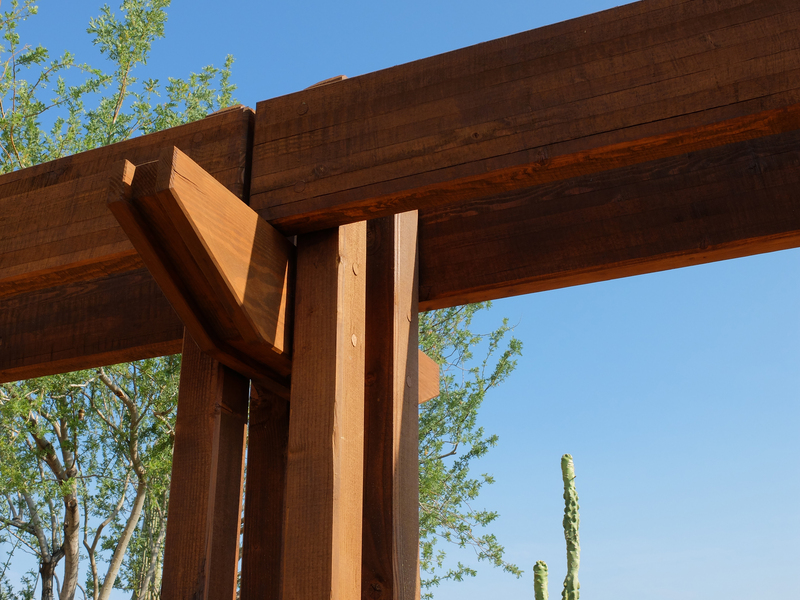 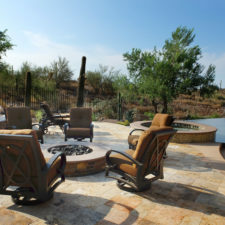 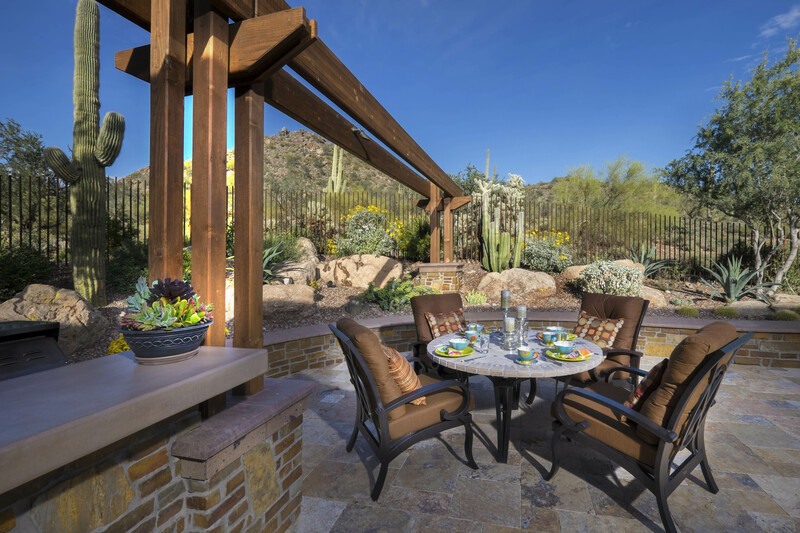 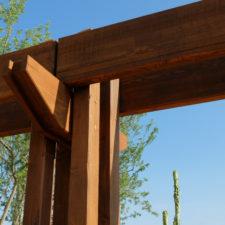 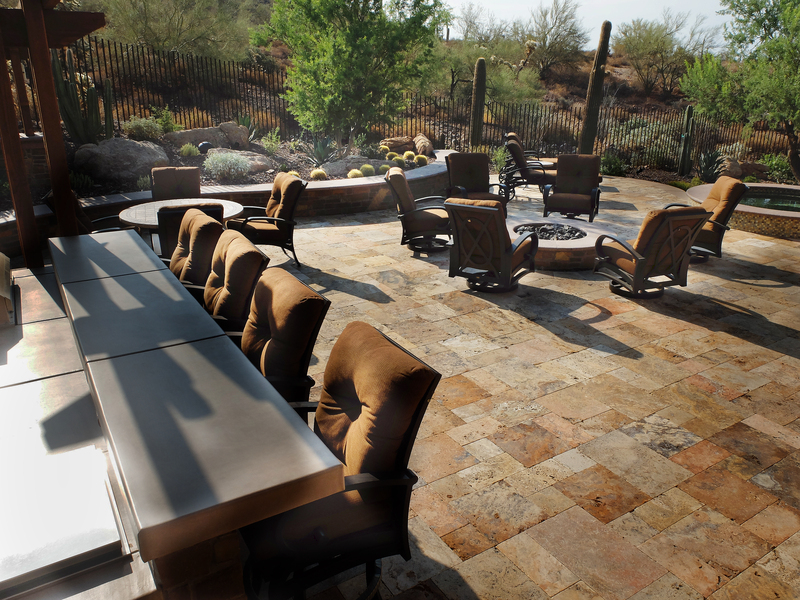 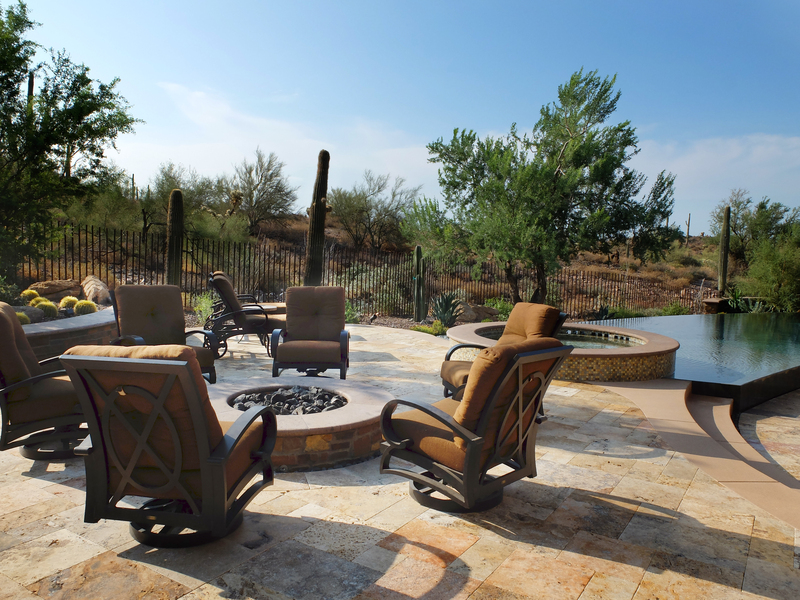 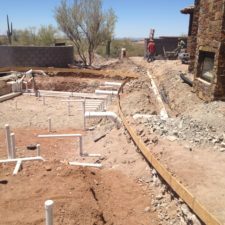 The fire pit and bbq areas are situated to capture the best views of the superstition mountains, framed by the architectural pergola that creates a window to the vista beyond. 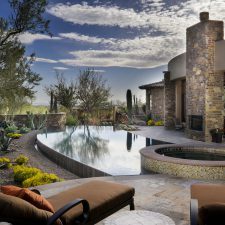 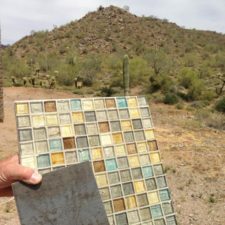 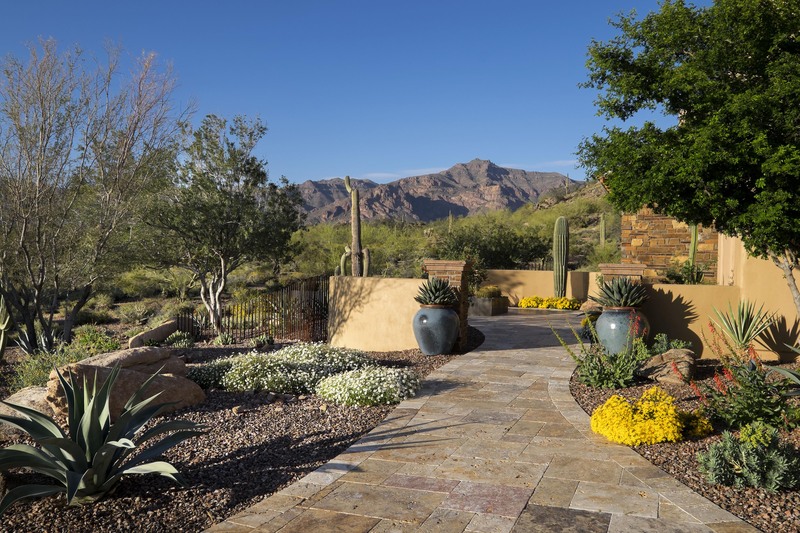 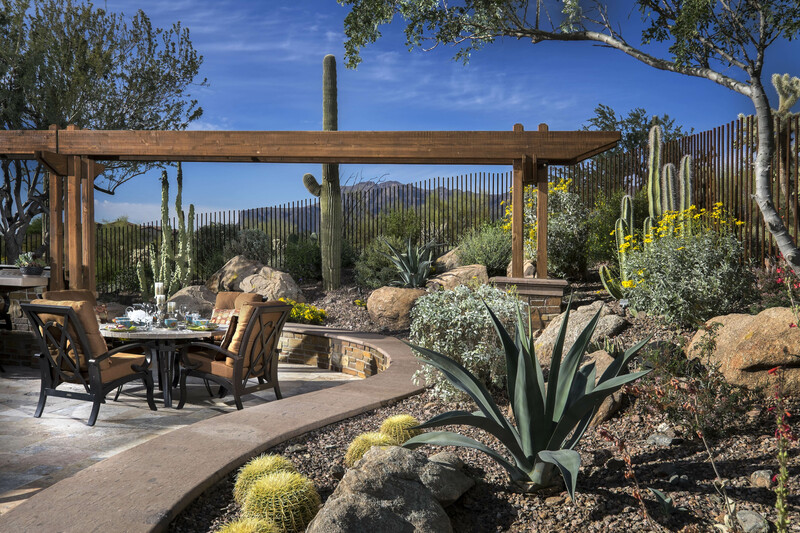 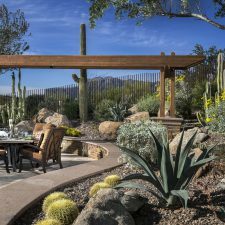 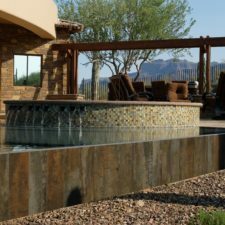 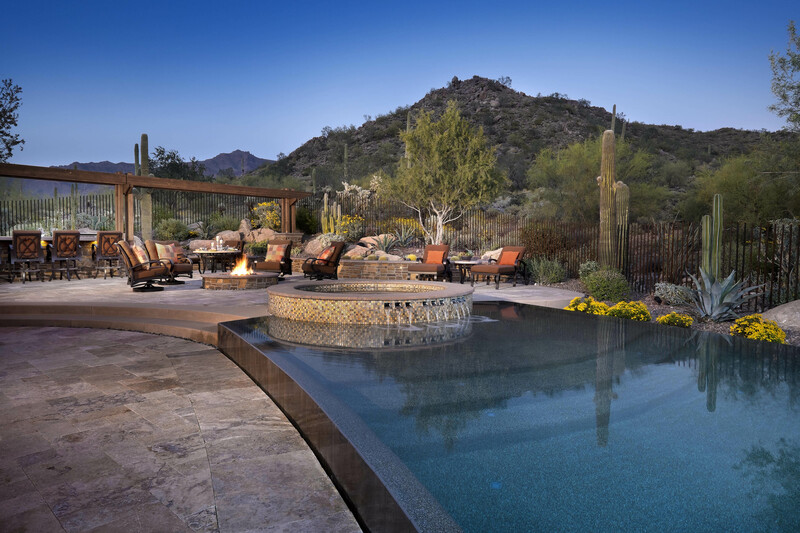 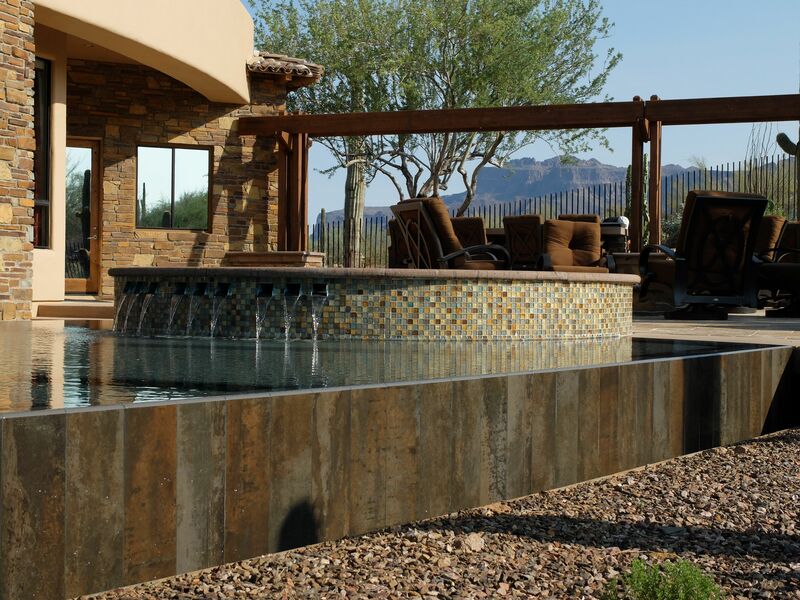 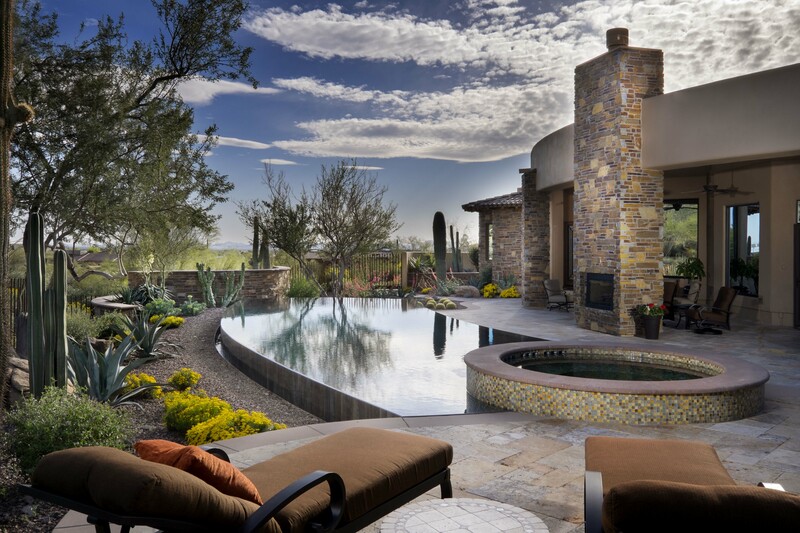 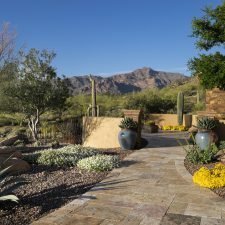 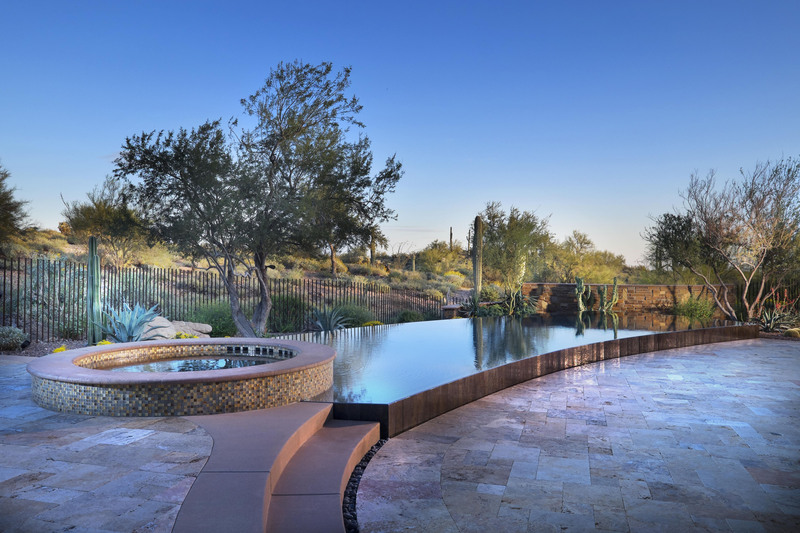 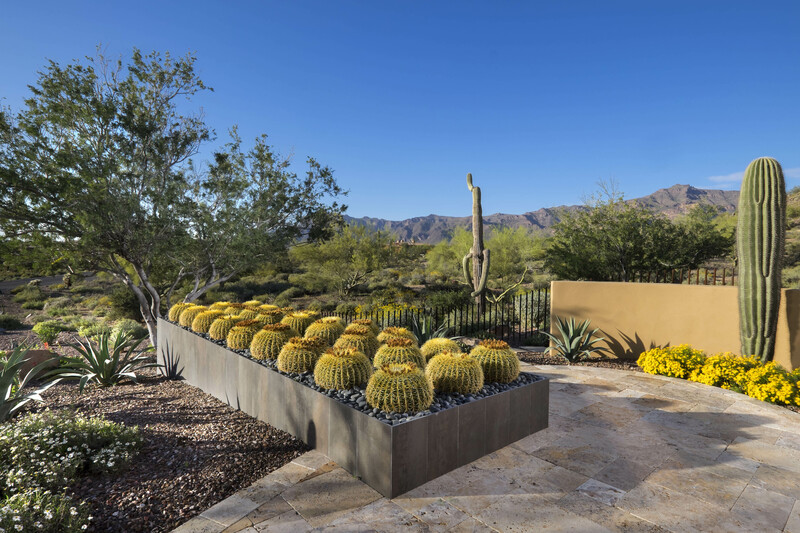 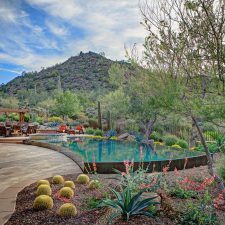 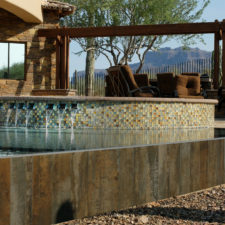 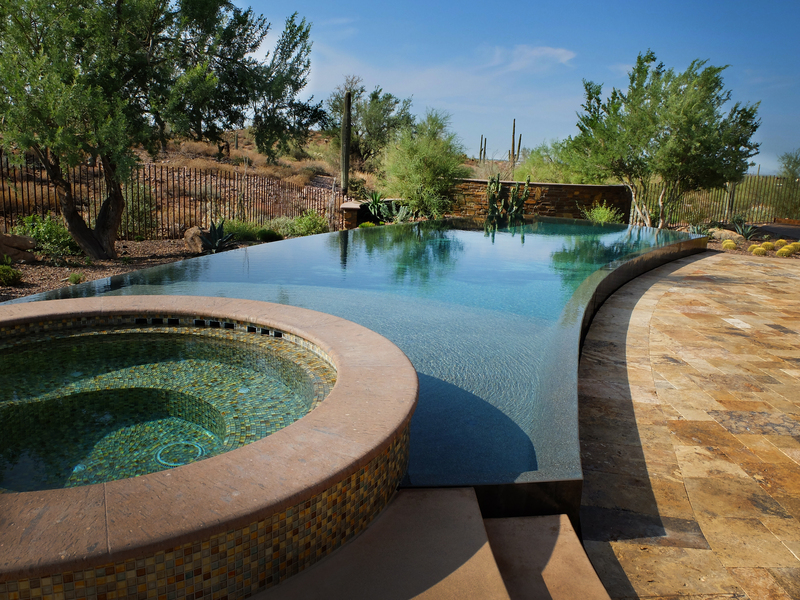 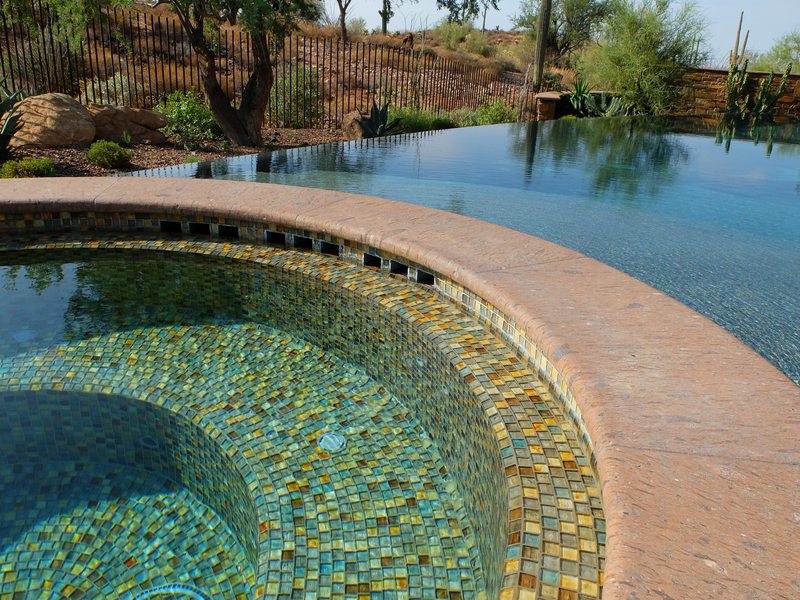 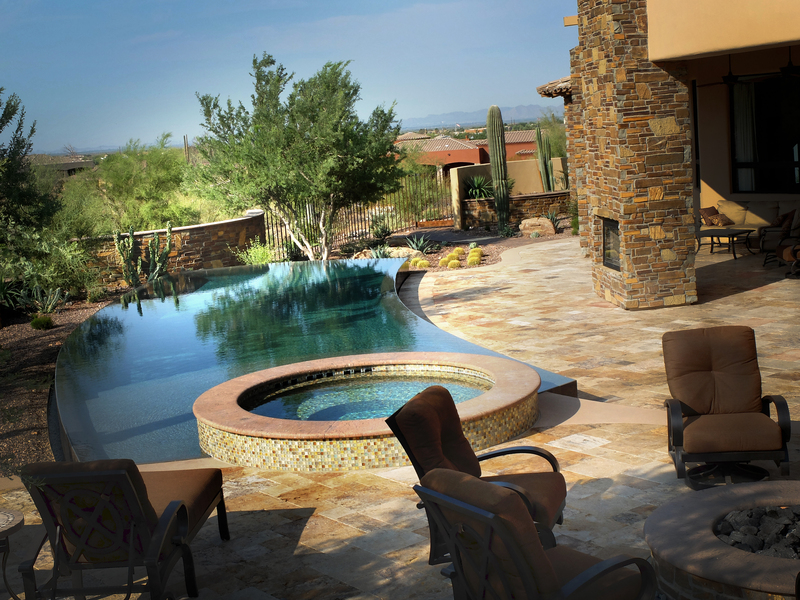 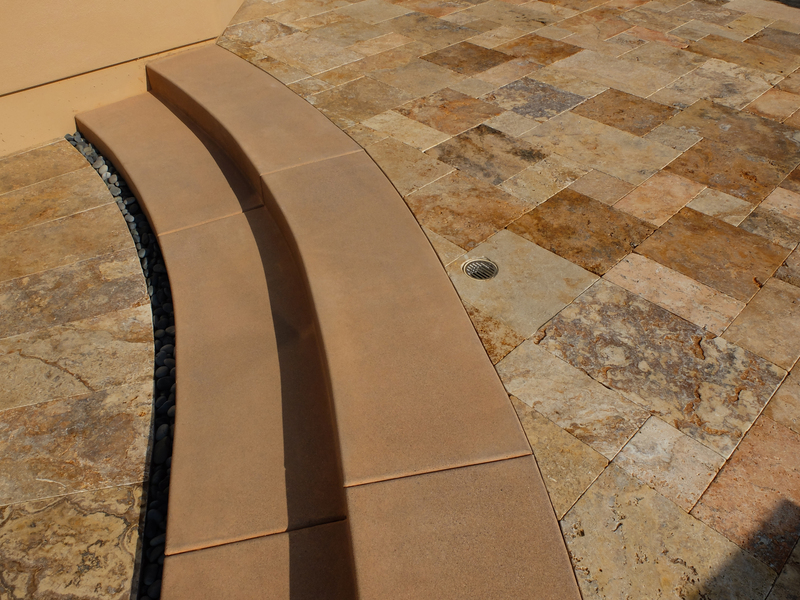 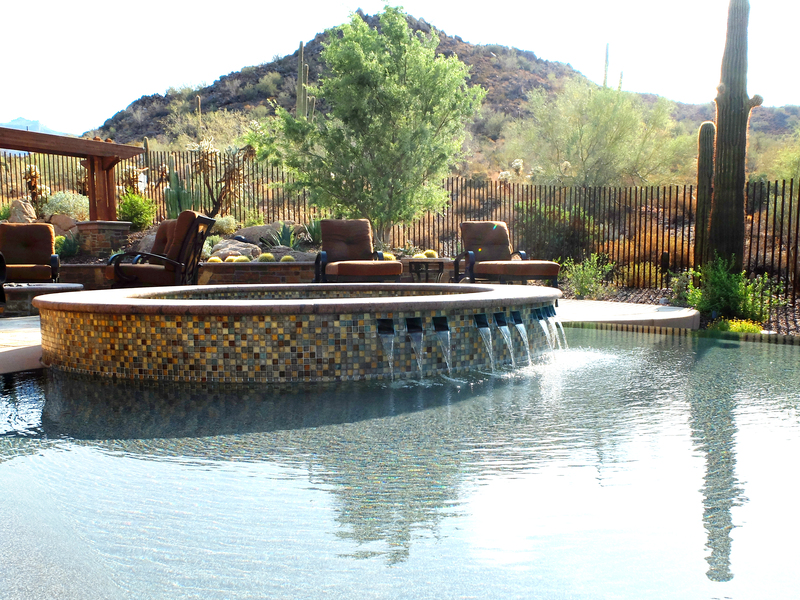 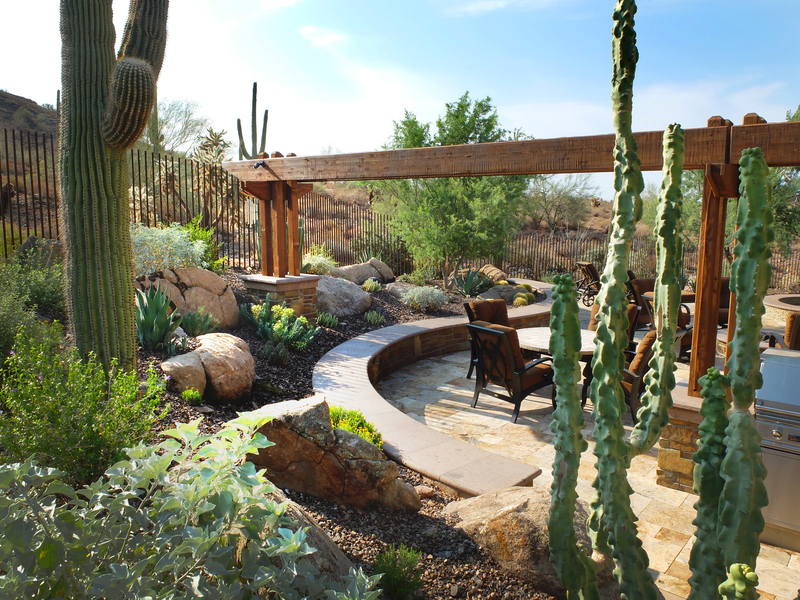 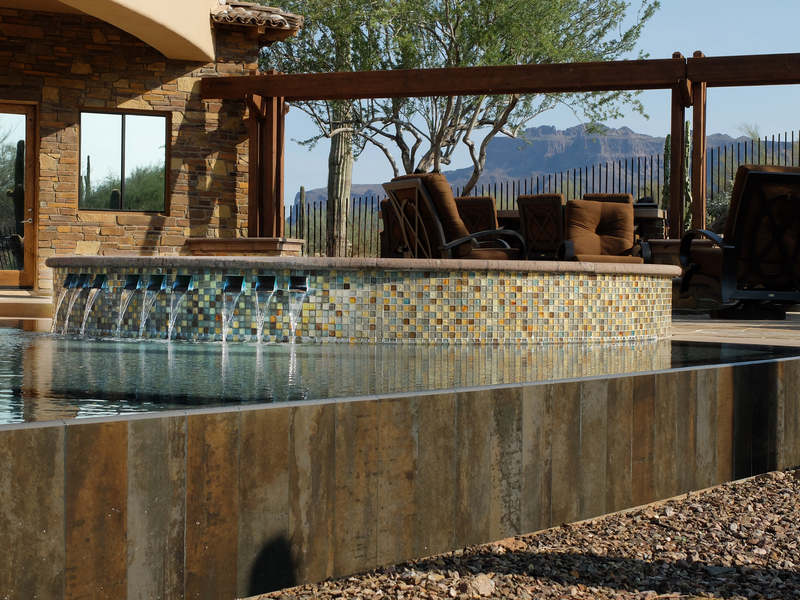 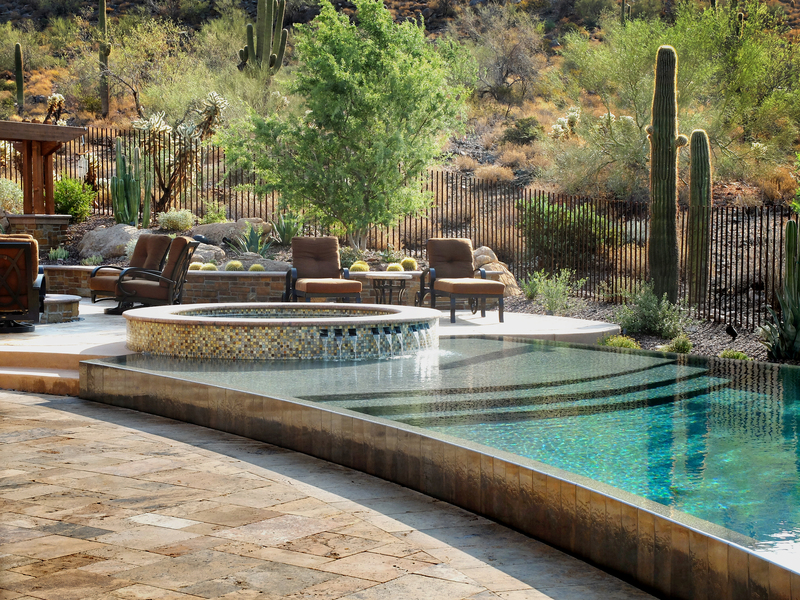 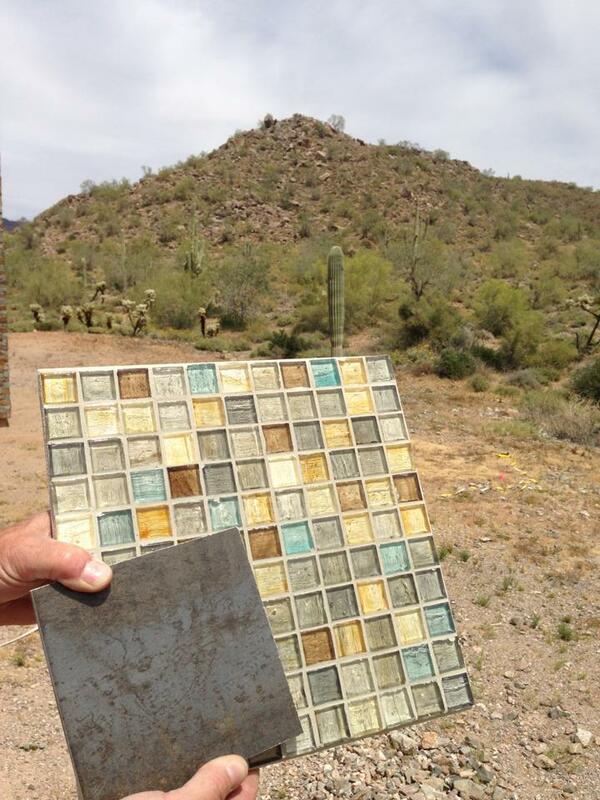 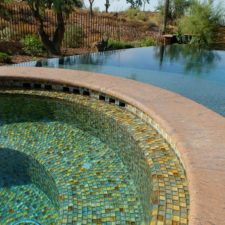 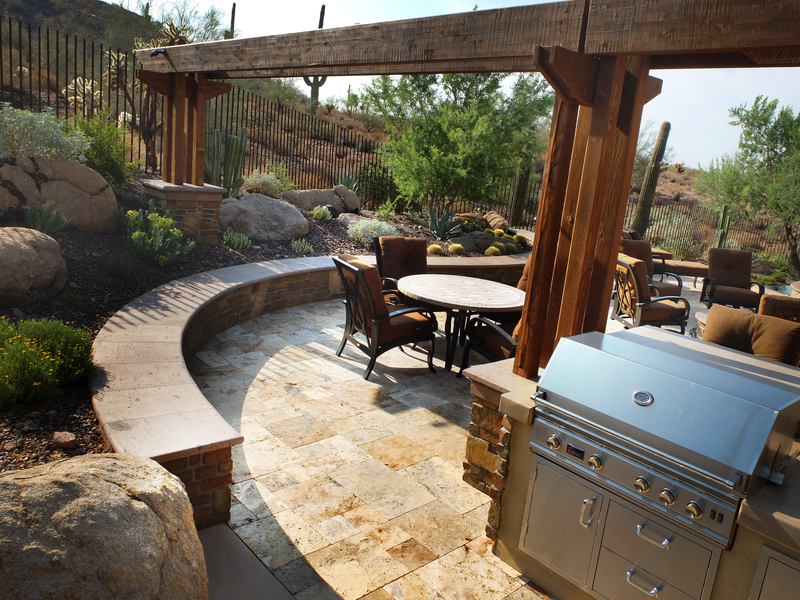 A raised glass tile spa, capturing the colors of the desert context, serves as a jewel and centerpiece for the outdoor living space. 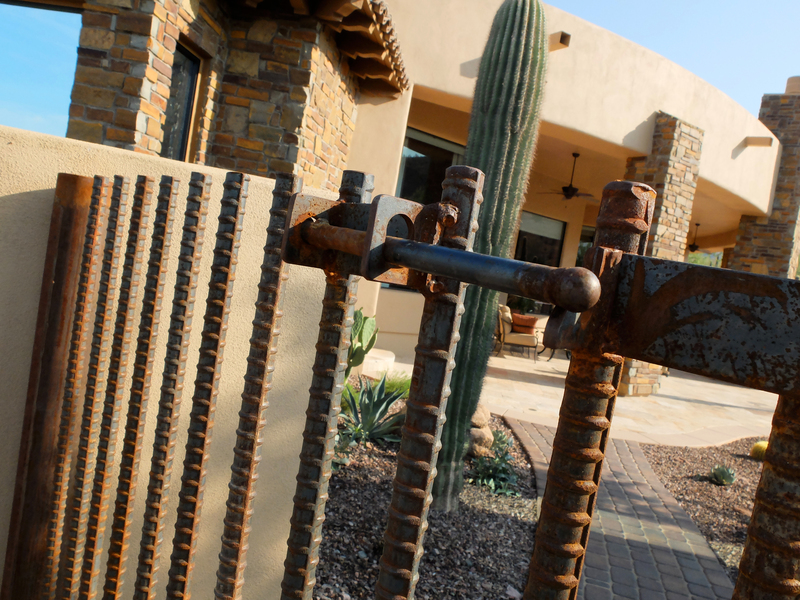 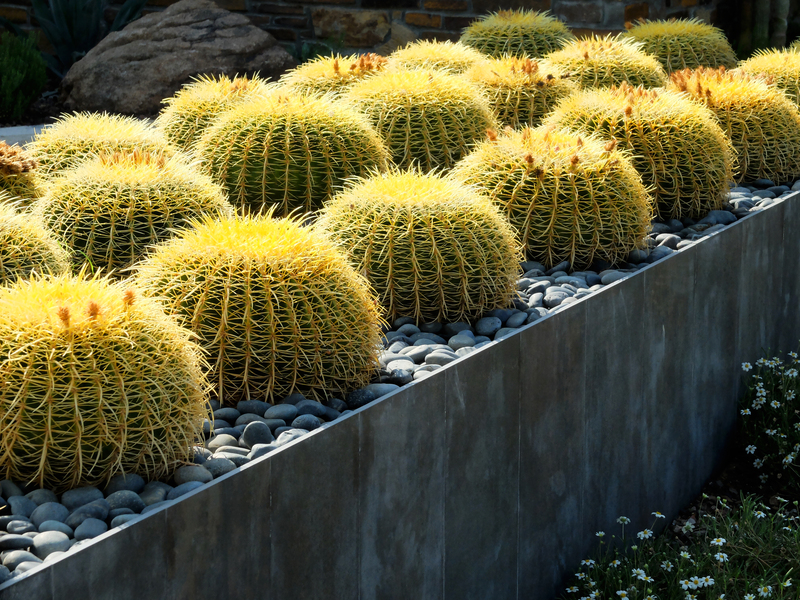 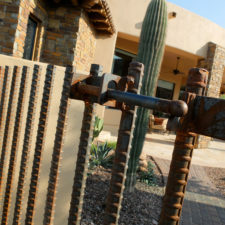 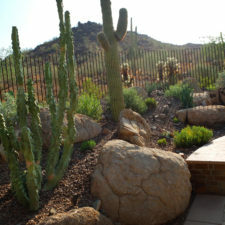 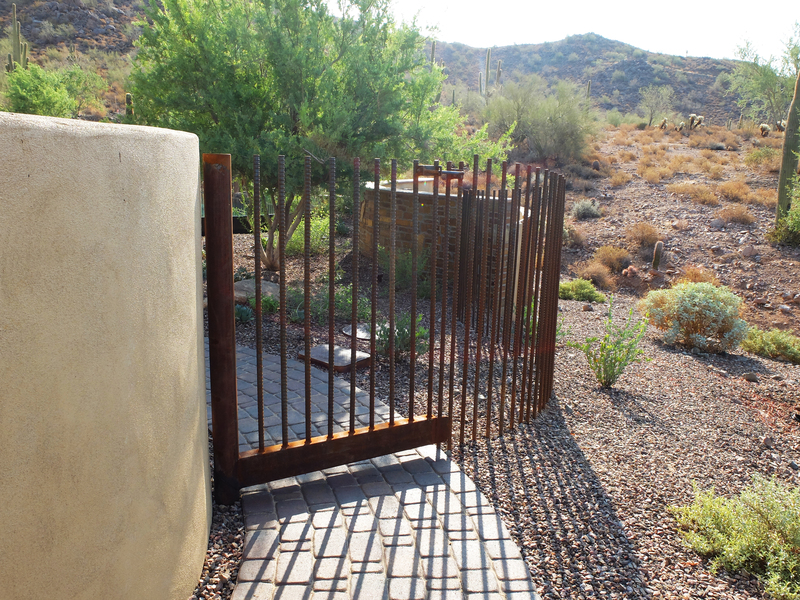 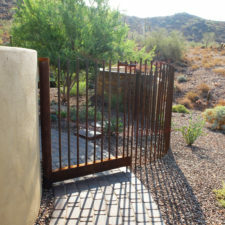 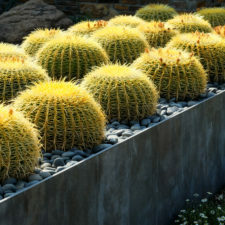 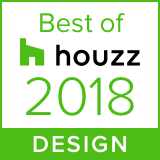 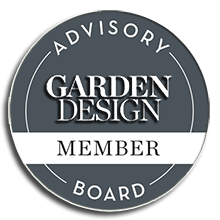 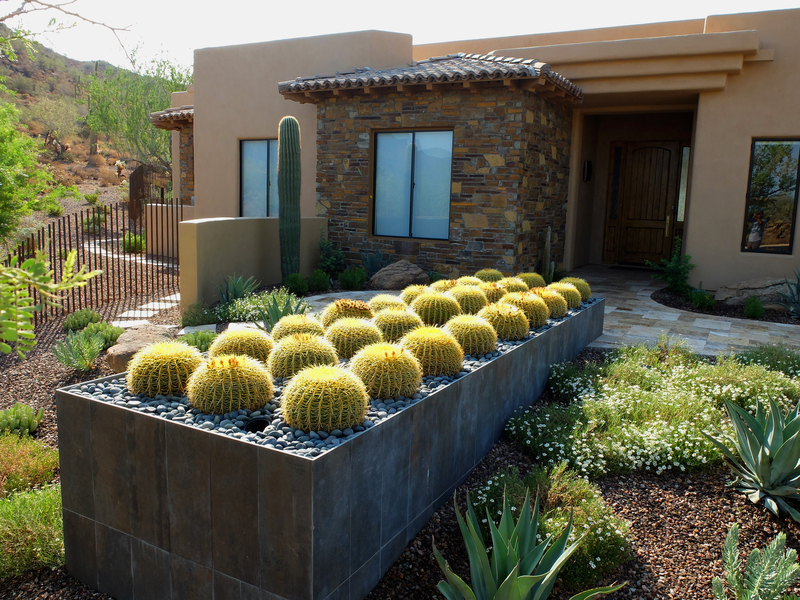 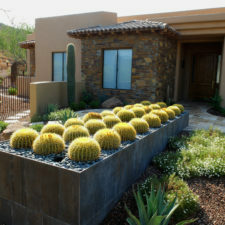 The front yard, mailbox, and planting were designed by Morgan Holt at Earth Art Landscape.